I was born exactly 300 years after the death of Galileo, and I would like to think that this coincidence has had a bearing on how my scientific life has turned out," wrote Stephen Hawking in an essay called, “Why We Must Ask The Big Questions", included in his final book, Brief Answers To The Big Questions, published recently. If this proclamation smacks of lofty self-regard, it was typical of Hawking to diffuse it with a sharp rejoinder, which follows right after this remark too. “However, I estimate that about 200,000 other babies were also born that day; I don’t know whether any of them were later interested in astronomy." 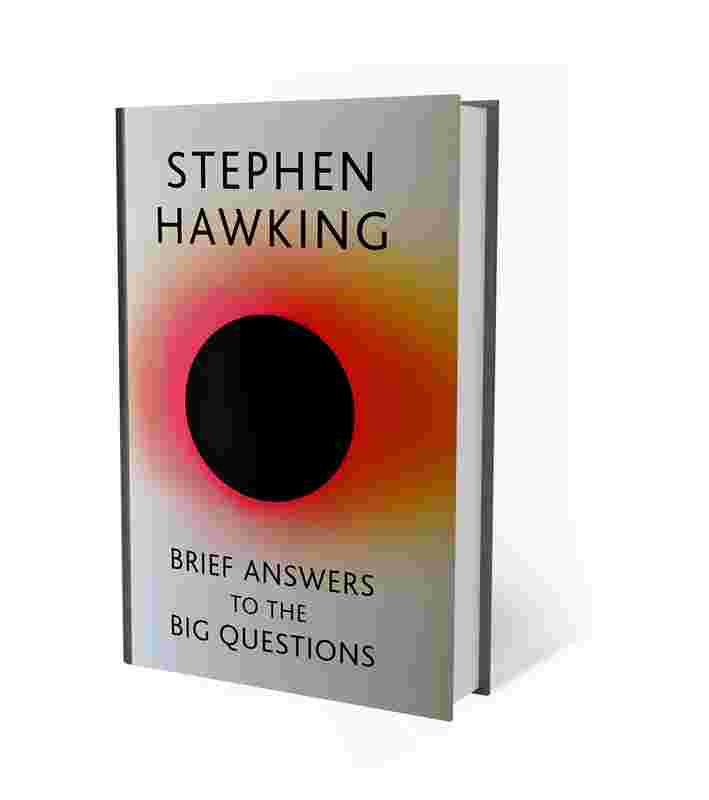 Arranged as brief answers to 10 big questions, Hawking’s last offering to the world, completed before he died in March, is redolent with his signature style: deep erudition set off by a wry sense of humour, an uncanny genius for decoding the complexities of astrophysics and outer space for the lay reader, and a willingness to take on some of the knottiest questions that have troubled humanity since the dawn of civilization. A few examples that belong to the last category pertain to the existence of God, the possibility of time travel, and the presence of other forms of life in the universe. Hawking considers each of these speculations with utmost sincerity, using scientific reasoning to debunk or uphold them. Till the very end, he kept himself open to doubt and to the power of the human imagination to dream up, and execute, the unthinkable. As he reiterates through the book, “today’s science fiction is often tomorrow’s science fact." Still from the movie ‘Theory Of Everything’, where Hawking was portrayed by English actor Eddie Redmayne. The scope of the big questions raised here are mammoth. Sample these: will we survive on earth? Shall we colonize space? Can we predict the future? Will Artificial Intelligence outsmart us? Hawking approaches each query with the rigour of a scientist and the empathy of a humanist. While explaining the shift of light from distant galaxies towards the red end of the spectrum, for instance, he interrupts his flow of deduction with an intensely humane question: “Maybe light got tired and more red on its way to us?" he asks, half-seriously. In another essay, he argues that we may find “many other forms of life in the galaxy, but we are unlikely to find intelligent life", saving the punch for the end. “Meeting a more advanced civilization, at our present stage, might be a bit like the original inhabitants of America meeting Columbus—and I don’t think they were better off for it." In the 30 years since writing his international best-seller A Brief History Of Time (1988), Hawking had the opportunity to witness some of the most staggering advancements in science, such as the building of the world’s largest particle accelerator in CERN, which captured the Higgs-Boson, a particle smaller than an atom that had hitherto only inhabited the realm of mathematical calculations. Many phenomena conceived by the greatest minds in theoretical physics, which had long existed as elegant equations, are now demonstrably proved. Einstein’s theory of relativity, Penrose’s work in cosmology, and Heisenberg’s Uncertainty Principle have been subjected to experiments that were hard to think up even half a century ago. For Hawking, then, the next logical step to his work in astrophysics was “to explore the solar system to find out where humans could live". In several chapters, Hawking makes an impassioned case for the need to find other planets to inhabit because life on earth, subject to all the depredations of human greed and avarice, isn’t going to last infinitely. One of Hawking’s staunchest beliefs, therefore, was that “the human race is not going to have a future if we don’t go into space". Interstellar travel, he believed, would be a reality in the next 200-500 years, if the scientific and entrepreneurial communities pooled in their minds and resources. His own delight in experiencing weightlessness for a few moments, in spite of his debilitating motor neuron disease, was a passionate affirmation of his hopes and beliefs for such a future. Space travel, for Hawking, wasn’t just an opportunity to extend the territorial claim of humans on the universe. It was a project that equalized us all. “When we see the earth from space, we see ourselves as a whole," he wrote. “We see the unity, and not the divisions. It is such a simple image with a compelling message; one planet, one human race."